Eric Buck, MA is a MFT, licensed in the State of California, License Number MFT29924. He is a licensed Marriage and Family Therapist and studied for four years at the Psychoanalytic Institute of Northern California in San Francisco as part of his post graduate studies and research.. Mr. Buck obtained a Masters in Psychology at the New College of California in San Francisco. Eric practices integrative psychotherapy and supports patients with alternatives to drug focused care. He has been in private practice for 24 years in Sacramento and Davis. In therapy with Eric, you will explore ways to reduce or even eliminate medications. Eric treats patients along the trauma to psychosis spectrum with or without medications. All efforts to reduce medication (titrate down) are undertaken under supervision of a psychiatrist. As part of our holistic approach, we support the family! For many clients, treatment includes periodic meetings with family members. Drama Therapy. Where appropriate for your needs, Eric may refer for acupuncture, nutritionists, mindfulness training, chiropractors, and other interventions. Eric also provides coaching for parents of teenagers and young adults diagnosed with mental illness. If your child has received a diagnosis of mental illness (such as bipolar disorder), Eric can help you navigate and determine the best way forward. Concerned about how to approach your child’s school? Need help in picking a psychiatrist? Thinking about balancing medication and psychotherapy? Eric Buck coaches parents. Please feel free to call today for more information or fill out the contact form and press SEND. Eric Buck provides couples therapy that is influenced by the John Gottman method. For teenagers with executive functioning disorder, with or without ADD, and Asperger spectrum disorder, Eric works with them to learn organizational skills. Eric uses cognitive behavioral therapy to effectively target specific problems that bother you, using a whole body approach. He works with nutritionists and other holistic specialists to create a plan to treat your whole body for a healthier lifestyle. 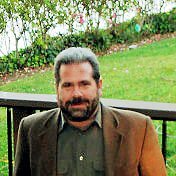 Eric runs a private psychotherapy practice, providing individual and group therapy in Sacramento. You can learn more about his services here and at ericbuckmft.net. Eric teaches anger management classes, emotional intelligence classes, and more at the Skills Studio Learning Center. Classes are available for individuals and groups in Sacramento and Davis. Eric teaches psychoanalytic psychotherapy through seminars, consultation, and training programs with Psychoanalytic Psychology Training Associates. Training programs for pre-licensed and licensed therapists are available. Make an appointment with Eric Buck today. Call now, or just fill out the form and click Send.